Can anybody tell how to draw a line in Android, perhaps with an example? If you want to have a simple Line in your Layout to separate two views you can use a generic View with the height and width you want the line to have and a set background color. With this approach you don't need to override a View or use a Canvas yourself just simple and clean add the line in xml. The example code I provided will generate a line that fills the screen in width and has a height of one dp. If you have problems with the drawing of the line on small screens consider to change the height of the line to px. The problem is that on a ldpi screen the line will be 0.75 pixel high. Sometimes this may result in a rounding that makes the line vanish. If this is a problem for your layout define the width of the line a ressource file and create a separate ressource file for small screens that sets the value to 1px instead of 1dp. This approach is only usable if you want horizontal or vertical lines that are used to divide layout elements. If you want to achieve something like a cross that is drawn into an image my approach will not work. 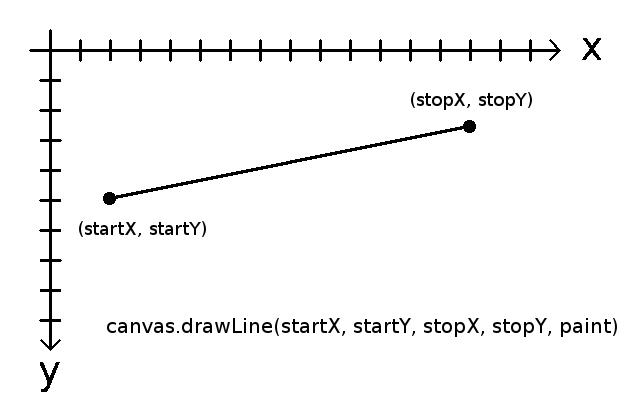 There are two main ways you can draw a line, by using a Canvas or by using a View. The Paint object just tells Canvas what color to paint the line, how wide it should be, and so on. Just comment: mPath.quadTo(mX, mY, (x + mX)/2, (y + mY)/2); You will be able to draw straight lines. This will create a straight horizontal line, hope it helps!. Then in my layouts is less code and simpler to read. if you want to do horizontal line spacing then do the above. Though I defined 3 constraints. How to Draw in fragment? How to draw hexagons in android? How can I efficiently draw many pixels on a Canvas? 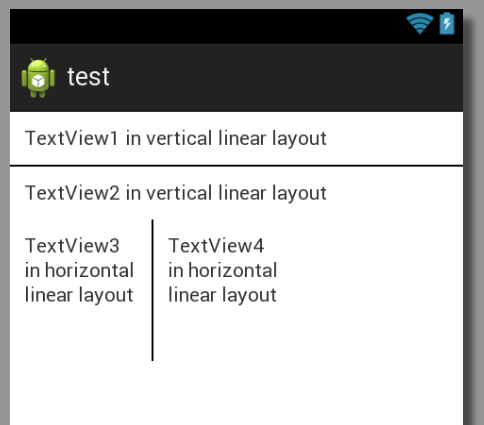 How to Draw line between two views in android?